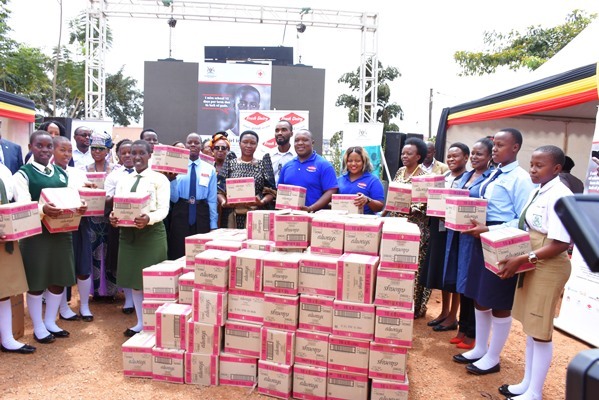 The Keep a Girl in school initiative is jointly run by Uganda Red Cross Society (URCS) in collaboration with the Ministry of Education and Sports, business partners and numerous stakeholders such as Fresh Dairy, Stanbic Bank, Vision Group, dfcu bank, Das handling, Audley Limited, Skyz Hotel, Veritas International and Pizza Hut. · To strengthen national level advocacy and coordination for MHM. · To build and strengthen public and private partnership in the provision of MHM in schools. · Create awareness for sexual reproductive health among adolescent girls with the aim addressing teenage pregnancy. 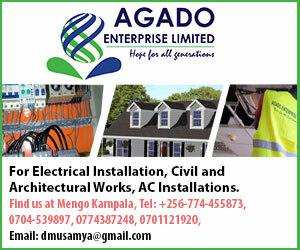 · To contribute to the provision of appropriate infrastructure, and supplies for MHM. The Keep a Girl in school initiative is informed by challenges associated with MHM that are highly reported as one of the drivers for poor school attendance and drop out. Studies by World Bank (2005), UNICEF (2012), and SNV (2012) estimate that one in every ten menstruating girls skips school 4-5 days per month or completely drops out. A girl who misses school for four days of every 28-day menstrual cycle loses an equivalent of two weeks of learning, and 104 hours of school every school term. In another study conducted among pupils in Uganda, 50 percent reported missing 1-3 days of primary school per month (IRC/SNV, 2013). To this end, Government of Uganda in the Second National Development Plan (2016/17-2019/20) committed to support MHM including supply of sanitary towels among girls in primary and secondary schools. Commenting on the donation, Marketing Executive Fresh Dairy, Monica Kulabako said, ‘As part of our Corporate Social Responsibility, Fresh Dairy has today donated a total of 9,600 sanitary pads to 400 girls for 12 months under the Keep a Girl in school initiative. This is geared towards ensuring that school attendance and retention for the girl child is heightened using Menstrual Health Management. Fresh Dairy is passionate about encouraging school going pupils and students both in Primary and Secondary to live healthy lifestyles. The Chief Guest, State Minister for Primary Education in the Uganda – Hon. Rosemary Nansubuga Sseninde applauded the partners of the Keep a girl in school initiative and urged more people and organizations to come on board.